What’s Hot? Jittery Cook is What’s Hot on BlogHer! Holly’s Halishkas have been syndicated by BlogHer. Check out the (little) syndication bling on the Jittery Cook New Age Stuffed Cabbage Roll post. What’s Blogher? A little publishing network reaching 37 million women each month. Here’s hoping that they all like halishkas and all the other Jittery Cook posts. BlogHer is the leading cross-platform media network created by, for and with women social media leaders. BlogHer publishes and syndicates news, information, advice, recommendations to and from over 3,000 premium blogs. Voilà! Jittery Cook has joined the ranks of premium blogs. You are cordially invited to subscribe to both BlogHer and Jittery Cook, so that you will not miss out on any of the wonderful articles, past, present and future. 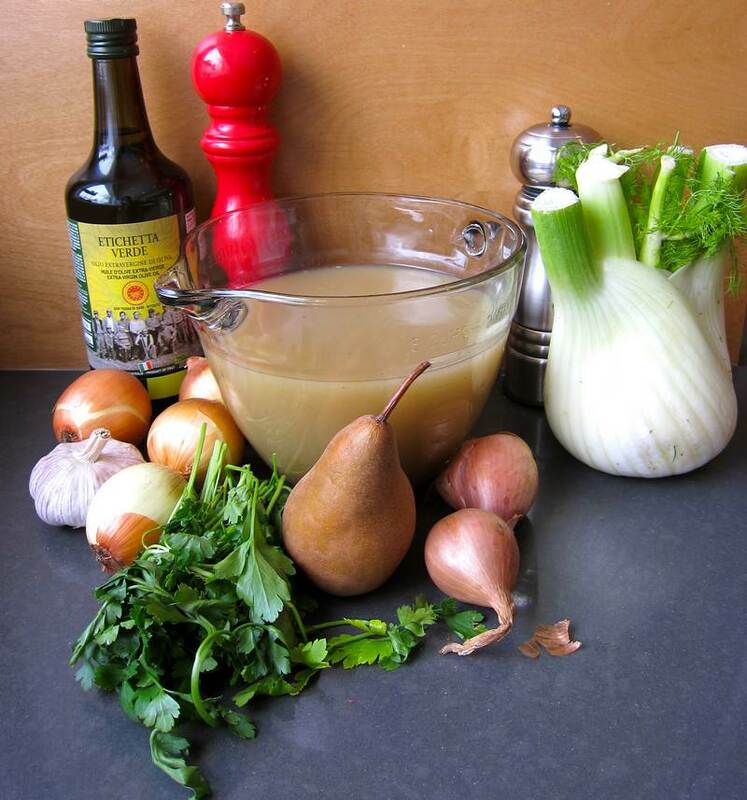 To celebrate graduating to grown-up blog status, here is a recipe for Roasted Fennel Soup – with grown-up flavour. Fennel doesn’t have its usual characteristic licorice flavour in this recipe. Roasting and caramelizing leads to a milder taste. The soup has sophisticated, complex flavours–even though the ingredients are standard. Roast the onion, shallot, pear, garlic and fennel with a generous coating of oil and a sprinkle of salt and pepper. Roast at about 400 degrees, but check often to lightly caramelize but not brown the vegetables. Remove the garlic, shallot and pear peel. Cut vegetables coarsely, add to stock, then simmer for 10 minutes. Use a blender or a food mill to purée the soup. Garnish with reserved fennel greens and parsley or chives. Thank you to Julia Richardson for guiding me, in person, through this soup recipe and donating the fennel. Thank you to Eric Botner for tasting and giving 5 stars. Thanks again to Liz Joffe for pushing me to get a food mill. I’m still getting used to it and still enjoying the new textures that it offers. Read about 5 so-called health foods to avoid. 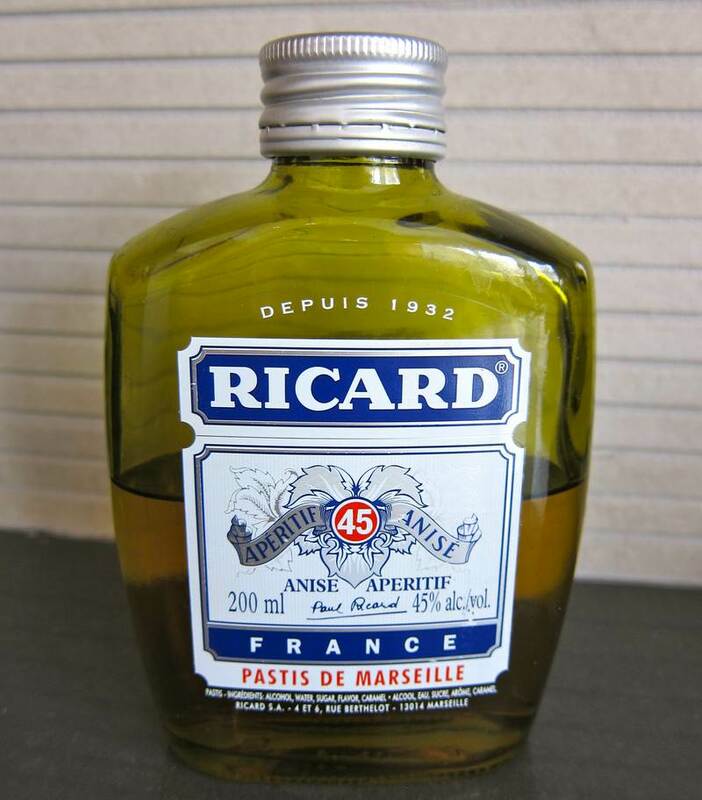 In case you want to accentuate the licorice flavour in this soup, you can add a tablespoon of Ricard, Pastis de Marseille into the broth before simmering. 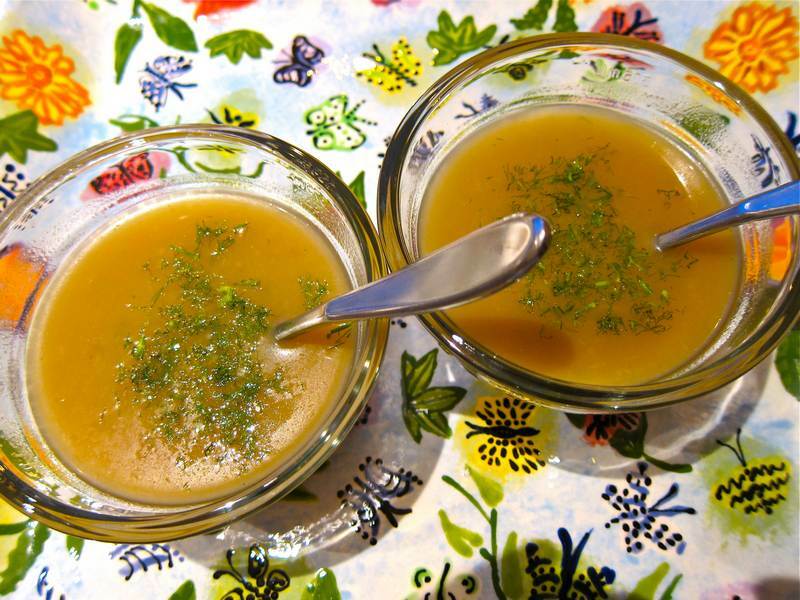 Read Harriet Sugar Miller’s blog for the best choice of store bought soup stock. BlogHer was founded in 2005 in response to the question, “Where are all the women bloggers?” BlogHer is currently the largest community of women who blog. Do I see Bubby’s dishes? 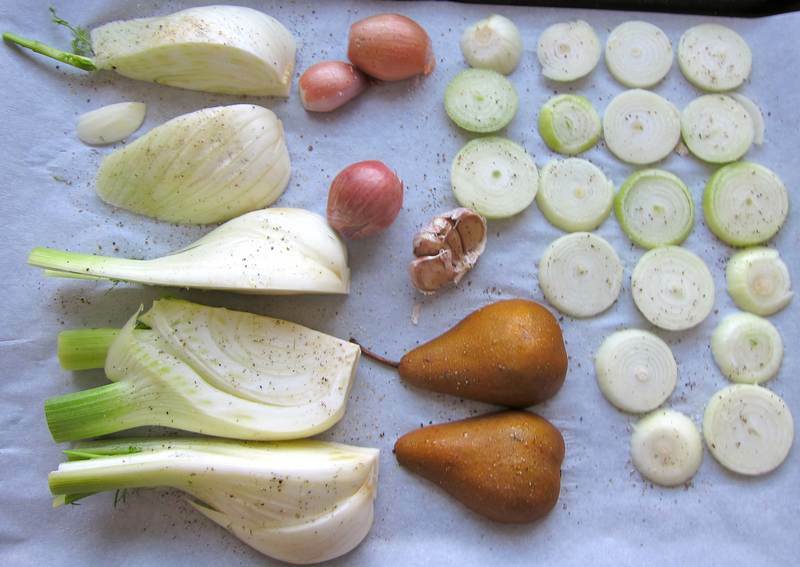 OK- Making this…..NOW, I happen to have fennel. I will leave out the parsley because Tim hates it and I have a different pear to use and a vidalia onion instead. Will report back soon. It’s so exciting seeing my name as a “thanks” person!!!! That’s right! They are Bubbie Botner’s dishes. I can’t believe you remembered! I followed the recipe exactly minus the parsley, When tasted I added a splash of cream, it made the color of the soup lighter and the texture smoother. Great either way!!!!! Thx Holly! So glad you liked. Maybe I’ll loosen up and try some cream one of these days. I did just make a rich cheese pie today….coming on Friday, I think. congrats to my mexican roommate on joining the ranks of premium blogs!!! Muchas gracias chiquita! You helped by being my traveling editor. Looking forward to more collaborations. This looks fabulous. I love fennel. Will let you know when I have made it.